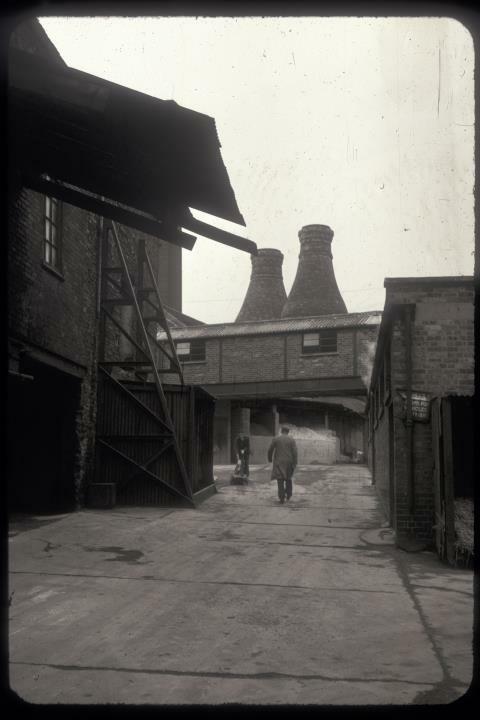 Description:John Steventon produced earthenware at the Royal Pottery, on Steventon Place, off Market Place in Burslem from 1923. The company goes back to the 1890s and the site was a pottery in the 1800s. 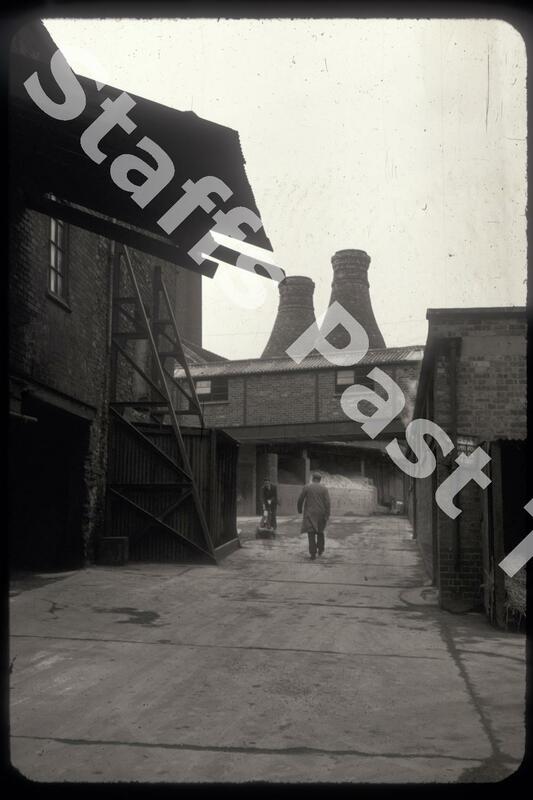 This photograph shows the interior courtyard, bottle ovens and mineral stores. Today the site is a mix of housing and commerce.